"Laura Lippman is among the select group of novelists who have invigorated the crime fiction arena with smart, innovative, and exciting work." "Lippman's taut, mesmerizing, and exceptionally smart drama of predator and prey is at once unusually sensitive and utterly compelling. Laura Lippman, New York Times bestselling author of What the Dead Know, Life Sentences, and the acclaimed Tess Monaghan p.i. series, delivers a stunning stand-alone novel that explores the lasting effects on lives touched by crime. 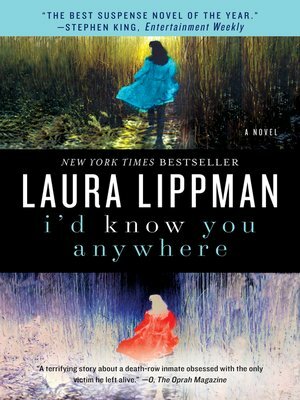 With I'd Know You Anywhere, Lippman—master of mystery and psychological suspense, winner of every major literary prize given for crime fiction, including the Edgar®, Agatha, and Nero Wolfe Awards—tells a gripping and richly textured tale of a young woman whose life dangerously entwines once again with a man on Death Row who had kidnapped her when she was a teenager. This is superior mystery writing in the vein of Kate Atkinson.